Inspired by the Brutalist Architectural movement, the Bayern Table Lamp features a bold shape with a raw texture. The crackle glaze creates a distressed finish that is unique to each piece. 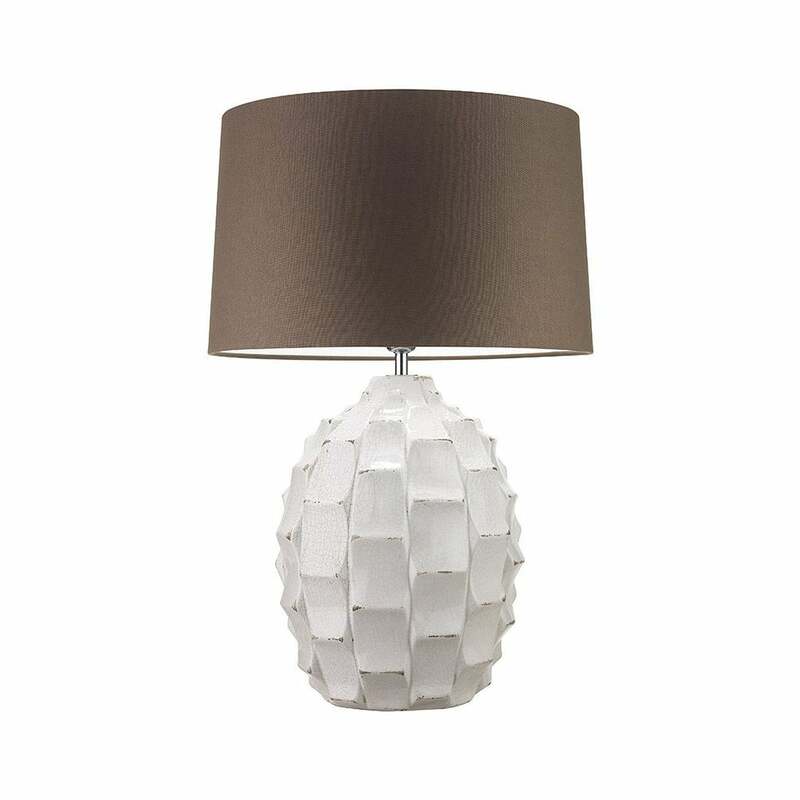 Available in a turquoise or ivory, this table lamp would make a striking addition to a bedroom or dressing room suite. The premium shade is available in Silk, Cotton or Linen material. Make an enquiry for more colour options.